There’s more than one superhero out there with a fondness for scooters. 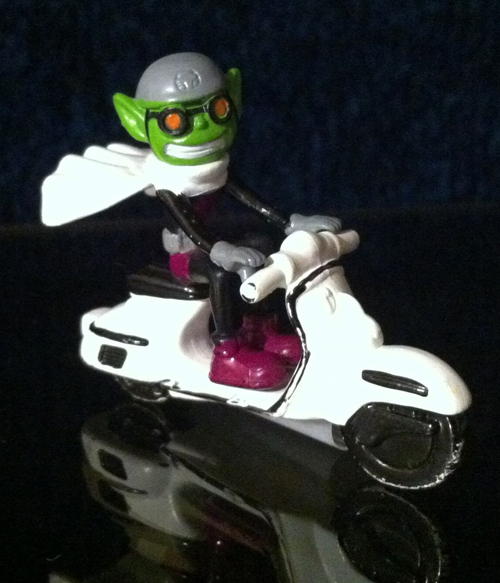 Beast Boy is NUTSO for “mopeds.” Should we break it to him that his is definitely a scooter? This figurine was a recent find of Daniel S. in Texas. (Thanks Daniel!) I went through the ScooterSwag archives and found this Beast Boy toy set that we posted back in 2007 . 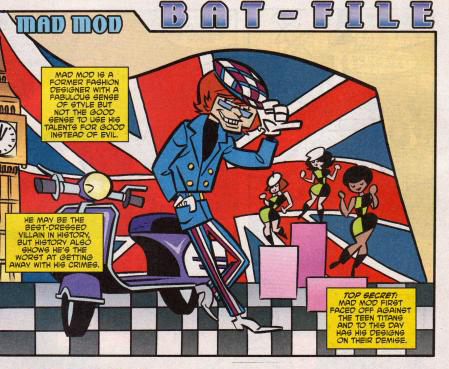 I was also able to dig up this episode where Beast Boy and friends are captured by the “Mad Mod.” MM was a villain from the 60s brought back to torment the Teen Titans just for this episode. 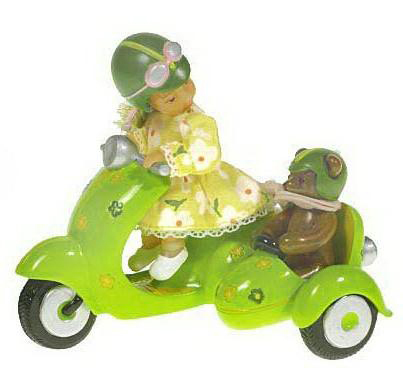 Maybe there are some Mad Mod Scooter toys out there. Enjoy! Couldn’t find out anything about the artist or whether this figurine is based on a comic book character. Anybody out there know? 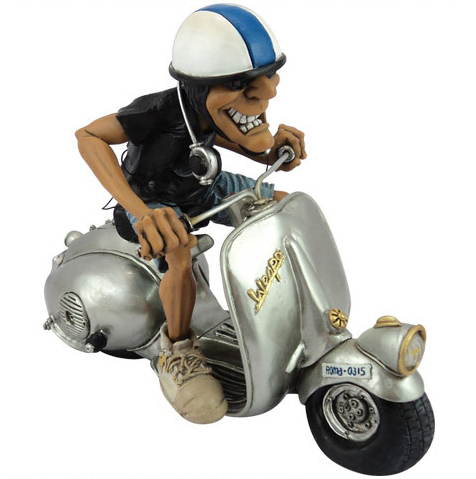 E-Mail us at tips (at) scooterswag.com. The figurine number is NEM9952. It has a lot of detail as it’s hand painted. 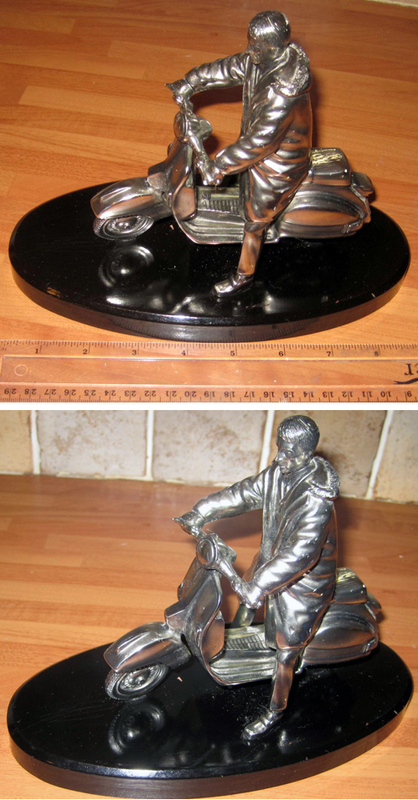 Measuring approximately 20cm long x 16.5cm tall X 10.5cm wide the figurine also comes in its own presentation box. 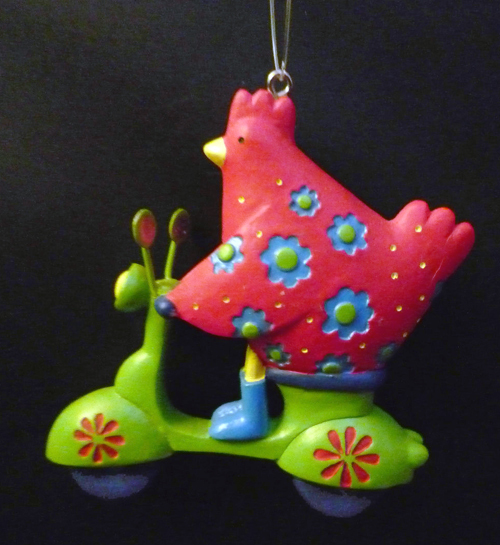 Spotted on eBay, one adorable Vespa riding chicken ornament. Believe this is the work of a British designer. Anyone know anything more? “Joe Bar Team” is a French comics series about two wheeled commuters and all the things they encounter just getting around. 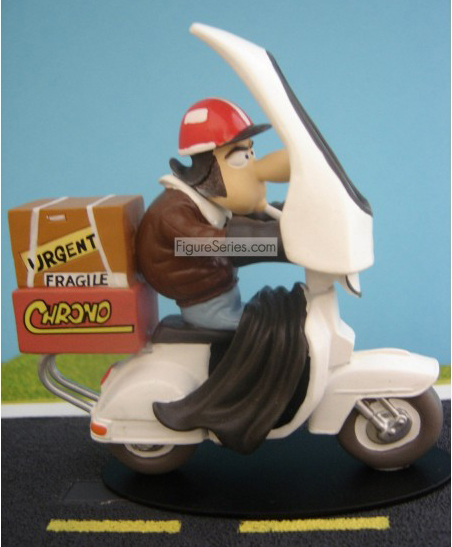 Of course one of the characters rides a scooter. 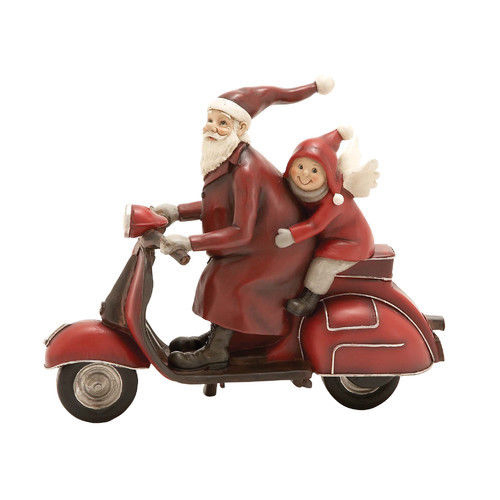 This model is hand painted, measures approximately 4″ tall and costs 14 Euro. 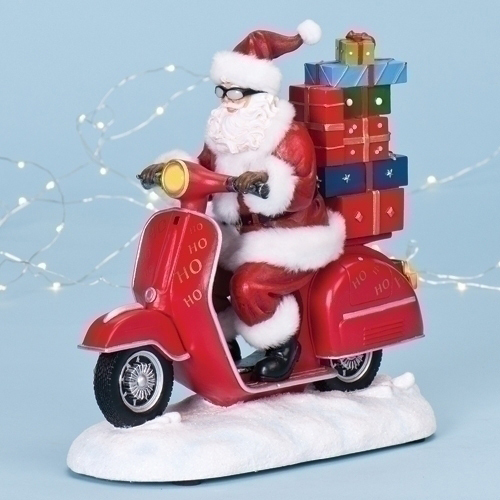 A Scooter Santa Music Box? These sometimes show up on eBay. Don’t have any information on manufacturer or where to buy online. 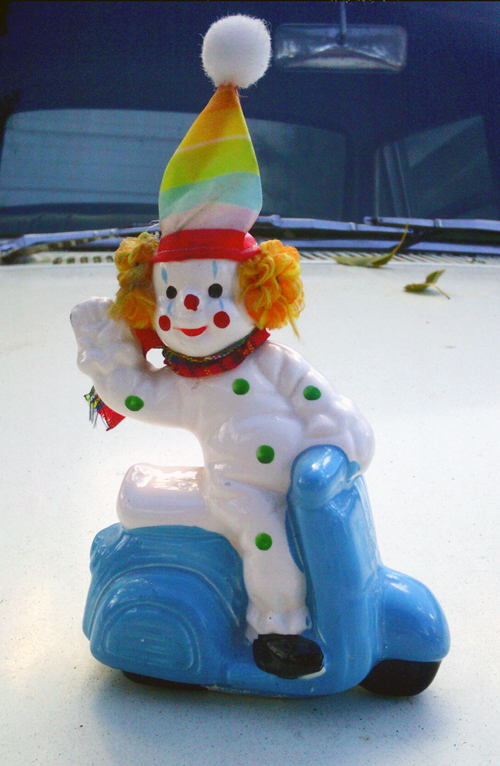 The description reads that it’s a resin figure with a music box measuring 10.5″H 10.5″W 4.5″D. Heck, I don’t even know what song it plays. If anyone else out there knows more, please fill us in!